View the AWM galleries walk through. See Snow talk about the project and technology. 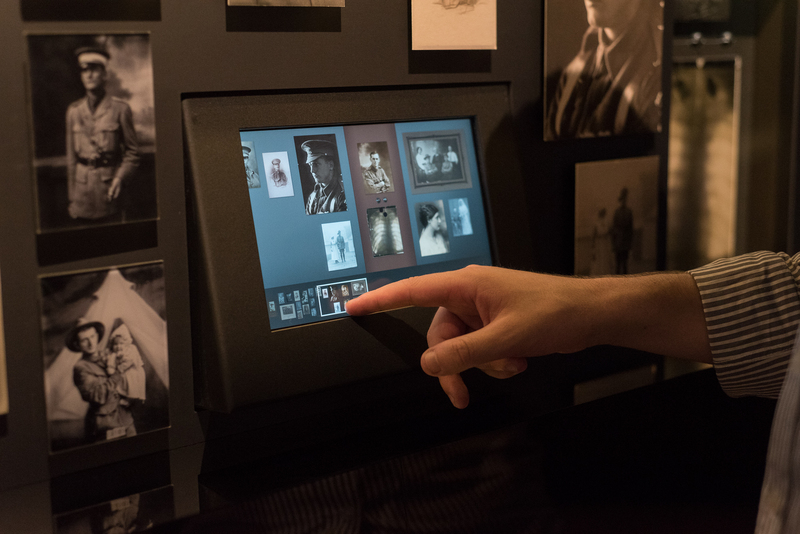 Since early 2014 the team at Holly Sydney has been hard at work on the Australian War Memorial First World War Galleries multimedia redevelopment. The complete gallery redesign includes never before seen items, new showcases, interactive experiences and revitalized dioramas to create what is being called one of the most significant First World War exhibitions in the world. Holly Sydney produced the Digital Interactive & Multimedia suite of over one hundred pieces of multilingual digital museum signage as well as conceptualising and developing cutting edge interactive experiences. The results of our work speak for themselves and form a phenomenal experience which brings visitors closer than ever before to the dedicated soldiers, their individual stories, and unique personal ephemera from the Great War. Our digital museum labels have been a great success that we have continued to develop over the last few years. 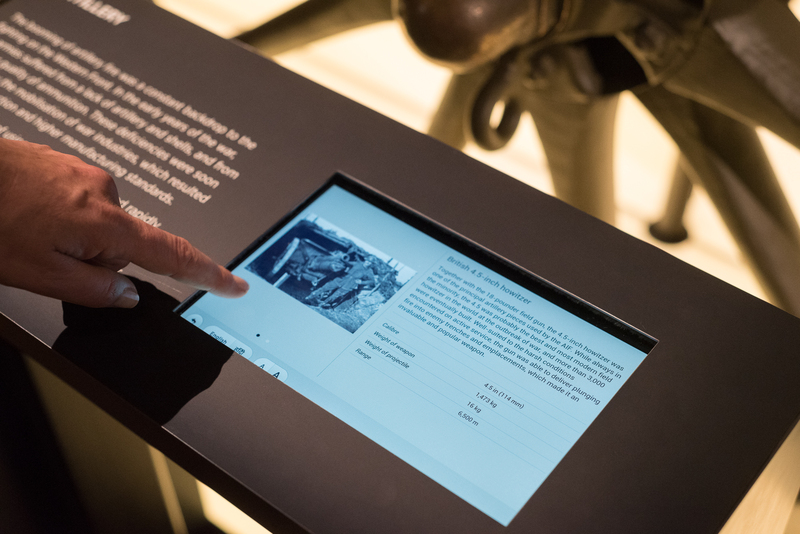 Each showcase features a unique interactive touchscreen tablet running customised software. These displays allows visitors to get more information and a detailed look at the delicate, now over a century old, items behind the glass. In addition to the many new exhibits in the gallery is the Anzac from Above. Holly Sydney has brought together First World War aerial surveillance photography and overlayed it onto 3D terrain. 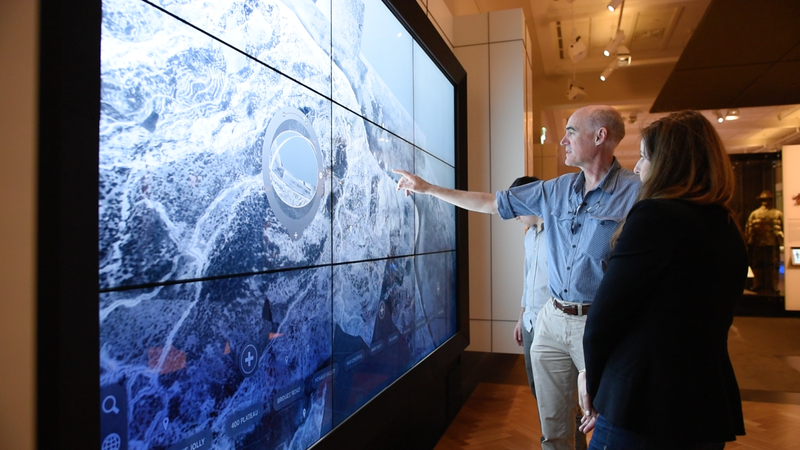 This massive multi-touchscreen experience that maps the landscape of Gallipoli as it was one hundred years ago. Visitors can now explore and interact with the landscape, key points of interest, and important battle sites thanks to century old surveillance images merged with cutting edge technology. The gallery redevelopment was a collaborative project for the Australian War Memorial. The whole team at Holly would like to extend a massive thank you to all our fellow collaborators – Here is the full credit list.